It’s Swatch Saturday! 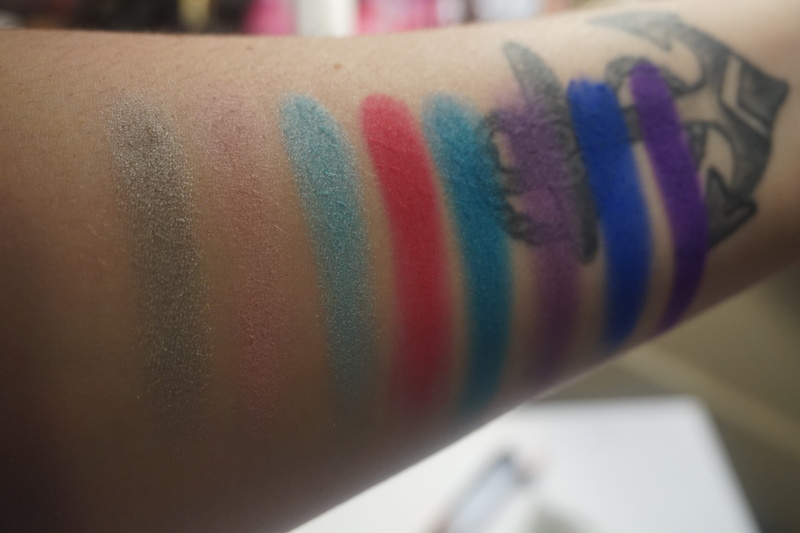 If you were here last week, you saw swatches of Wet n Wild’s limited edition palette called Hemporary Solution. 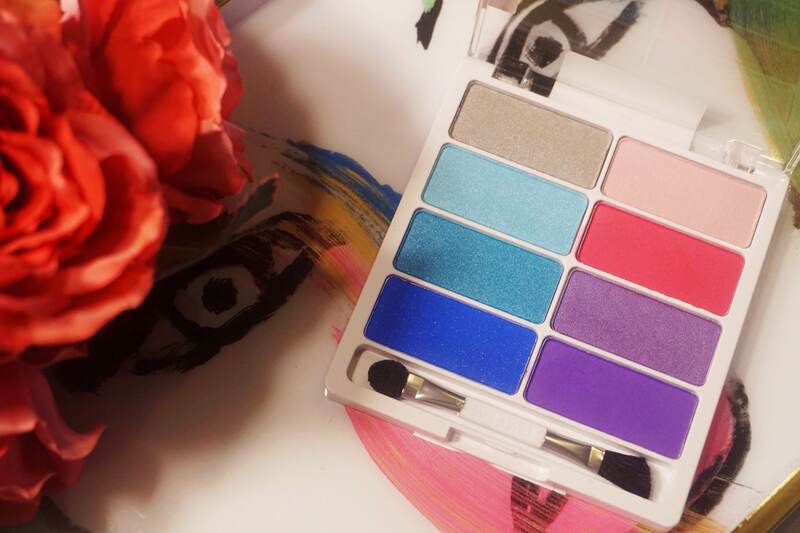 These limited edition palettes are super bright and fun! The set up of this palette is the same as the others, just a different color scheme. 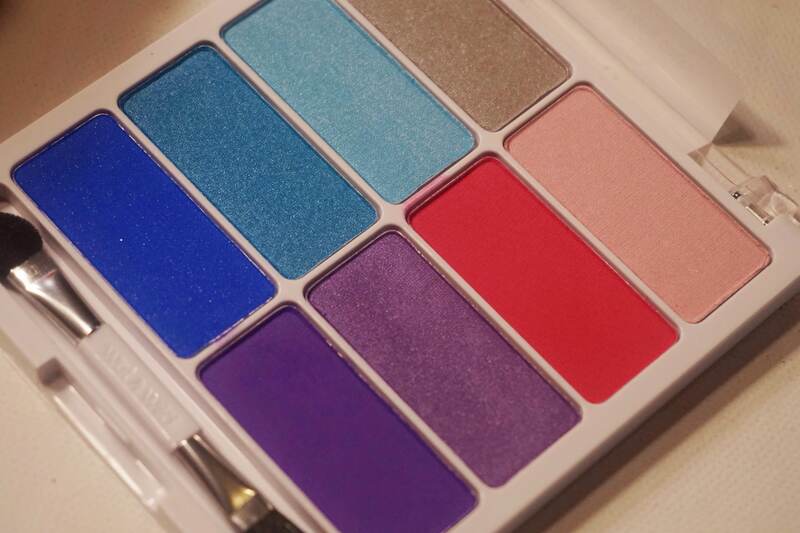 This palette is cooler toned and has a silver, blues, purples and a few pinks. I think that this is a good arrangement of colors. I’m not a huge fan of the light pink shade, but the other colors are nice! Like the last palette, this is also $5, and has a few shimmers along with some matte shades. I think this one has a few more shimmery shades in it. These are the swatches of all 8 colors. As you can probably tell by the photo, the light pink and baby blue shades are a bit chalky looking and it took me a bit to build the color up. All is not lost though, because look at the last two shades. My heart almost stopped when I swatched that royal blue shade. It’s so pretty! I normally don’t wear blue because I think it makes my eyes look weird, but I might make an exception for that shade. That dark purple is perfect as well, and I’ve been searching for an affordable and pigmented deep purple shade, because I really want to do an all purple Youtube tutorial. All in all, I don’t think this one impressed me as much as Hemporary solutions, but I am happy with it given that it’s $5. Update: I actually used that dark purple shade in my last tutorial that you can watch here if interested. It blended out soooo smoothly. I was really impressed! These are definitely super fun palettes that I recommend picking up if you come across a display! What are your thoughts on them? Will you be picking these up for your collection? Have a good day, lovelies. As always, thanks for reading! Wow the dark blue and the purple! Impressive because normally purples are typically chalky and difficult to blend (I read it had something to do with purple pigments). For the price of the palette, it’s worth it just for those 2 shades! I like the red / coral shade too. I think WnW have the coolest shades/combos. The quality can be hit or miss on a few, but they’re still doable. And for the price you really can’t go wrong. I might have to try and track this one down. I actually like the pink shade too.Those first 3 shades look like they’d make for a gorgeous look. Totally agree, I am definitely not as upset when a shade or two are chalky with these than I am when I spend $50 on an Urban Decay or Too Faced palette and the quality is off. I don’t wear a lot of pink, but the dark pink shade in this is so pretty!